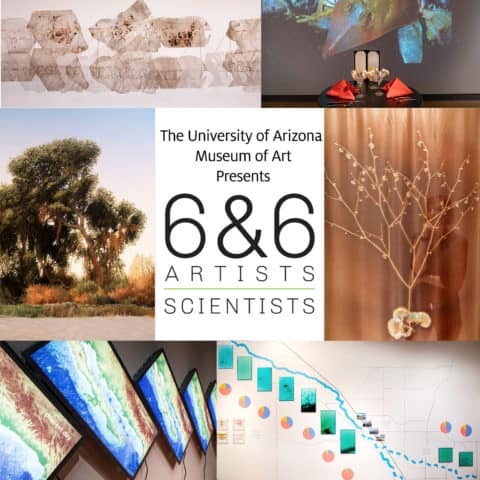 February 28, 2019 at 5:00 p.m.
Join the Museum in celebrating the exhibition 6 & 6 – open December 22, 2018 through March 31, 2019. 6 & 6 is the result of a transdisciplinary experiment that began over three years ago when Next Generation Sonoran Desert Researchers (N-Gen) invited six artists and six scientists to merge their views. Their work, both individually and collectively, connects people with the Sonoran Desert – across borders, and between distinct disciplines. This reception is free and open to the public, and refreshments will be served.